Special Feature: Push-fit into 1.25″ schedule 40 PVC pipe. Threaded actuator with nut. Additional Description: B330WA Hard push button air actuator. 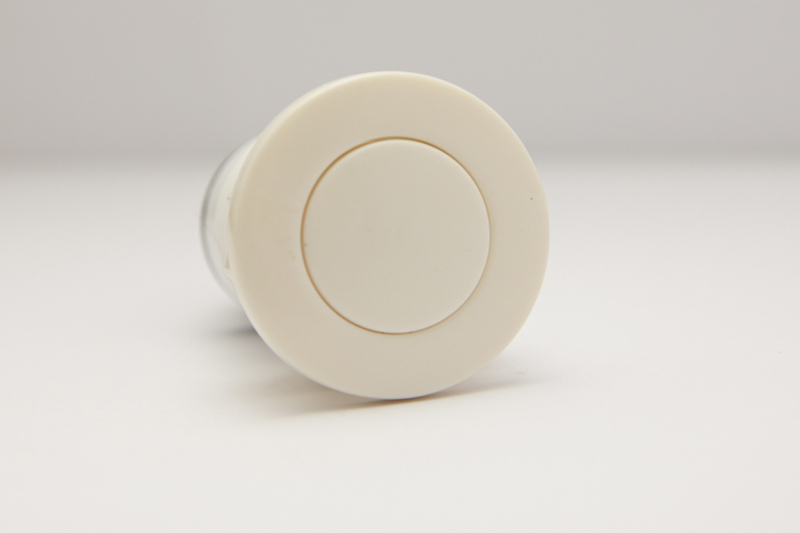 White air actuator is a small diameter button, ideal for garbage disposal applications. Direct from USA manufacturer. Other color options available, contact us for more information.